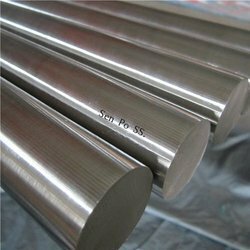 We are a leading Manufacturer of stainless steel 317l alloys, stainless steel 309, titanium 6al 2sn 4zr 2mo, stainless steel 321 alloys, stainless steel am-35 and stainless steel 431 alloys from Mumbai, India. Grade 309 stainless steel has high corrosion resistance and strength compared to 304 stainless steel. The following datasheet gives an overview of grade 309 stainless steel. The following table shows the chemical composition of grade 309 stainless steel. A limitation with 321 is that titanium does not transfer well across a high temperature arc, so is not recommended as a welding consumable. In this case grade 347 is preferred - the niobium performs the same carbide stabilisation task but can be transferred across a welding arc. Grade 347 is therefore the standard consumable for welding 321. Grade 347 is only occasionally used as parent plate material. Like other austenitic grades, 321 and 347 have excellent forming and welding characteristics, are readily brake or roll formed and have outstanding welding characteristics. Post-weld annealing is not required. They also have excellent toughness, even down to cryogenic temperatures. Grade 321 does not polish well, so is not recommended for decorative applications. 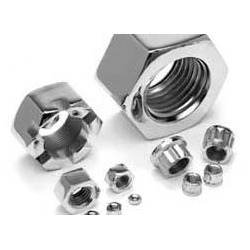 Grade 304L is more readily available in most product forms, and so is generally used in preference to 321 if the requirement is simply for resistance to intergranular corrosion after welding. However 304L has lower hot strength than 321 and so is not the best choice if the requirement is resistance to an operating environment over about 500°C. 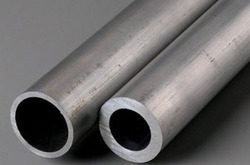 Grade 431 stainless steels are martensitic, heat-treatable grades with excellent corrosion resistance, torque strength, high toughness and tensile properties. 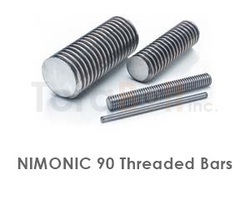 All these properties make them ideal for bolt and shaft applications. 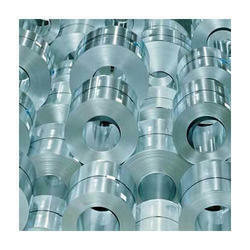 These steels, however, cannot be cold-worked owing to their high yield strength, hence they are suitable for operations such as spinning, deep drawing, bending or cold heading. Fabrication of martensitic steels is generally carried out using techniques that allow hardening and tempering treatments and poor weldability. The corrosion resistance properties of grade 431 steels are lower than that of austenitic grades. The operations of grade 431 are limited by their loss of strength at high temperatures, due to over-tempering, and loss of ductility at negative temperatures. The specified properties are for bar products in ASTM A276. The properties may not be necessarily similar to other forms such as forgings and plates. Stainless Steel 15-7 Mo*Stainless Steel 15-7 Mo is a semi-austenitic stainless steel high corrosion resistance, high strength and minimum distortion on heat treatment. Stainless Steel 15-7 Mo is easily formed by heat treatment. 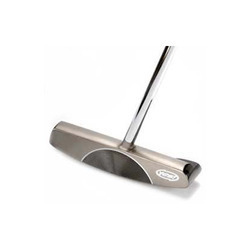 Principal Design Features This alloy is a semi-austenitic precipitation hardening stainless steel. It combines moderate corrosion resistance with high strength and hardness at operating temperatures up to 900 F.
Applications Retaining rings, springs, diaphragms, aircraft bulkheads, welded and brazed honeycomb panels and other uses requiring high strength at elevated temperatures. 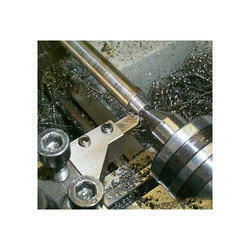 Machinability Tough and gummy, this alloy responds best to machining in the hardened conditions. Chip breakers are suggested. Welding Readily welded by most of the common arc and resistance methods. Preheating and post weld annealing is not required in this alloy. Avoid inert gas shielding to prevent oxidation of aluminum. The two main properties of precipitation-hardened stainless steels are high corrosion resistance and high strength. Stainless steel grade 17-7 PH is a precipitation hardened stainless steel that possesses high strength and hardness, excellent fatigue properties, good formability, good corrosion resistance, and minimal distortion upon heat treatment. The properties of this alloy are well suited for aerospace applications. Stainless steel grade 17-7 PH is suitable for use in fresh water and industrial atmospheres, and mild chemical and oxidizing environments. 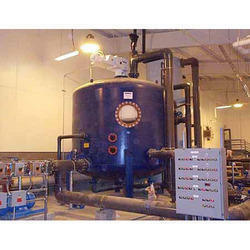 It is recommended that 17-7 PH should not be used in salt water or reducing environments. The following sections will discuss in stainless steel grade 17-7 PH in further detail. Chemical Composition The chemical composition of stainless steel grade 17-7 PH is outlined in the following table. ElementContent (%) Chromium, Cr	16-18	Nickel, Ni	6.50 - 7.75	Manganese, Mn	1 max	Silicon, Si	1 max	Aluminum, Al	0.75 - 1.50	Carbon, C	0.09 max	Phosphorous, P	0.040 max	Sulfur, S	0.030 max	Iron, Fe	Balance	SIZE 6MM TO 200MM DIA ROUND BAR. SIZE 1MM TO 100MM THICKNESS PLATE. SIZE 6MM TO 350MM OD PIPE . SIZE 0.5MM TO 6MM DIA WIRE. .AVAILABLE IN STOCK. Custom 465® stainless is a premium melted, martensitic, age-hardenable alloy capable of ultimate tensile strength in excess of 250 ksi in the overaged (H 950) condition. 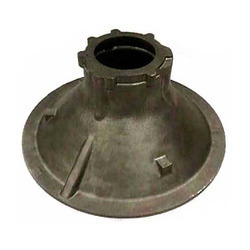 This alloy was designed to have excellent notch tensile strength and fracture toughness in this condition. Overaging to the H1000 condition provides a superior combination of strength, toughness and stress corrosion cracking resistance compared with other high-strength PH stainless alloys such as Custom 455® stainless or Carpenter 13-8 stainless. Stainless steels are high-alloy steels with good corrosion resistance because of large amounts of chromium present in them. About 10% of chromium is present in most stainless steels. 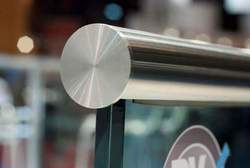 Grade 440B stainless steel is a high carbon martensitic stainless steel containing good strength, moderate corrosion resistance and ability to obtain and maintain wear resistance and excellent resistance. 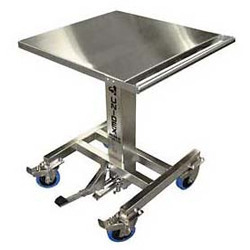 The following datasheet provides an overview of grade 440B stainless steel. The chemical composition of grade 440B stainless steel is outlined in the following table. F51 is a duplex stainless steel with a 50:50 austenite, ferrite microstructure. The material combines good mechanical strength and ductility with moderate to good corrosion resistance in a variety of environments. This material is generally supplied in the annealed condition giving yield strengths in excess of 65 KSI (450Mpa), this material cannot be hardened by heat treatment but stronger surface strengths can be achieved by cold working. Typical applications include pumps, valves, pipework, flanges etc together with various applications in the oil and gas, brewing, power generation and chemical engineering industries. In fact this alloy can be used successfully as an alternative to 300 series austenitic stainless steels in almost all applications where higher mechanical strength/lower weight is required. 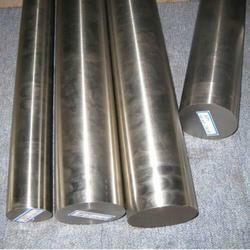 Stainless steels are high-alloy steels. They contain about 4-30% of chromium. 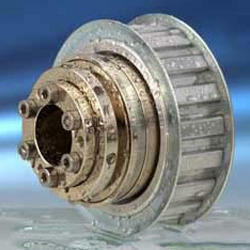 They are further classified into three types such as martensitic, austenitic, and ferritic steels. 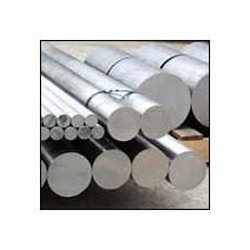 Another group of stainless steels are precipitation-hardened steels. They are a combination of austenitic and martensitic steels. 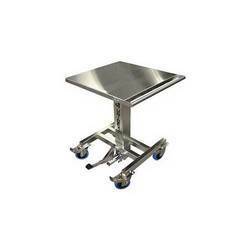 Grade 350 stainless steel alloy is a heat treatable austenitic/martensitic alloy. The following datasheet gives an overview of grade 350 stainless steel alloy. The following table shows the chemical composition of grade 350 stainless steel alloy. 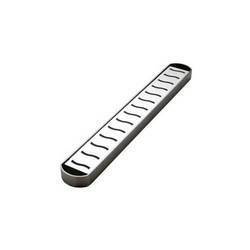 for other products such as pipe and bar in their respective specifications. 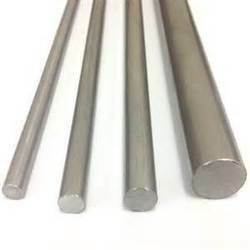 Super Duplex F 53 ROUND BAR Super Duplex alloy UNS S32750 (F53 / 1.4410 / 32750 / Alloy 2507) has excellent corrosion resistance to a wide variety of media, with outstanding resistance to pitting and crevice corrosion in seawater and other chloride containing environments, with Critical Pitting Temperature exceeding 50°C. UNS S32750 (F53 / 1.4410 / Alloy 32750) exhibits a low coefficient of thermal expansion and higher heat conductivity than austenitic steels and is suitable for working temperatures up to 300°C. Listed in NACE MR 01 75 for sour service UNS S32750 (F53 / 1.4401) and having gained ASME Approval for Pressure Vessel applications Alloy 32750 can be used in a wide variety of applications. Chemical Composition Limits Weight% C Mn P S Si Cr Ni Mo N Cu Super Duplex F53 0.03 max 1.2 max 0.035 max 0.015 max 0.8 max 24-26 6-8 3-5 0.3 0.5 max Size 6mm to 200mm dia round bar. Size 1mm to 100mm thickness plate. Size 6mm to 350mm od pipe . Size 0.5mm to 6mm dia wire. .Available in stock. Providing higher strength than both austenitic and 22% Cr Duples Stainless Steels UNS S32760 (F55) is suited to a variety of applications in industries such as Chemical Processing, Oil & Gas, and Marine environments.